BJPENN Radio is live at 8PM ET/5PM PT! 8:15PM ET- First up, one of MMA’s most recognizable names, Joe “Diesel” Riggs joins us to preview his upcoming fight for the M-1 middleweight strap and what’s next for the long-time veteran. A return to the UFC? Another bare-knuckle boxing match? We’ll be discussing it all. 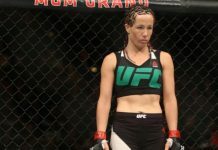 8:40PM ET- Following her controversial loss to Amanda Cooper at UFC 218 over the weekend, “Her Majesty” Angela Magana will recap how things unfolded on Saturday night and elaborate on her claims of sexism towards women’s MMA fighters. Where she goes from here, and her response to all the criticism being sent her way, we’ll hear Magana’s take on all of it. 9:00PM ET- With TUF 26 all wrapped up and the first women’s flyweight champion crowned, “The Bullet” Valentina Shevchenko returns to the show to breakdown the division and how these ladies stack up against her. As many already consider Valentina the uncrowned champ at 125, we’ll discuss possible matchups moving forward and when we can expect to see her back in action. 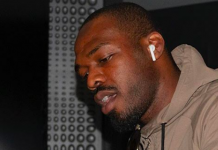 9:30PM ET- Closing out tonight’s show is the next challenger for Daniel Cormier’s LHW title, Volkan “No Time” Oezdemir returns to discuss the matchup with DC and how this deal got finalized. We’ll get his thoughts on competing in front of New England sports fanatics, what he has planned for training camp, and much more. Stay tuned every Wednesday for more of what you crave!